Ribbonwood Nurseries are one of the oldest specialist native plant growers in New Zealand.  We have an extensive range of species for the home, farm or any environmental restoration project. All of our staff have horticultural qualifications and plenty of local, practical experience to help you choose the right plants for your project – big or small. 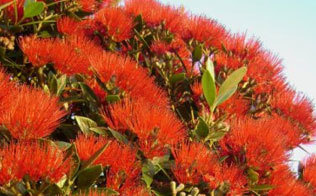 Rata and pohutukawa are iconic native trees with spectacular displays of red flowers during summer. 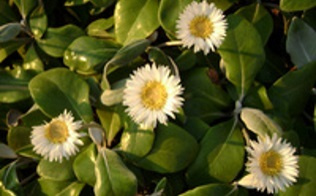 This is a stunning plant with its bold leathery, white rimmed foliage and furry undersides. 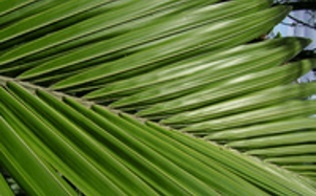 The nikau is New Zealand’s only native palm and makes a dramatic landscape statement.